Founded in 1993, Leili Agrochemistry has today developed into the largest manufacturer of seaweed extracts in Asia, with an annual yield of 5,000 tones of seaweed extract powder, 12,000K Liters of seaweed extract liquid and 100,000 tones of seaweed organic compound granular. The company plays a leading role in the Chinese market but has also expanded its overseas sales during the past several years. Today Leili exports to more than 60 countries and belongs to the top five most recognized global brands in the increasingly competitive market for seaweed extracts in agriculture. Leili Agrochemistry Co., Ltd. is mainly engaged in R&D, manufacturing and marketing of seaweed extract products. The company’s Headquarters are located in ZHONGGUANCUN HiTech Zone, downtown Beijing. Located in the scenic HUAIROU District in Beijing suburbs, the Company’s R&D and production base comprises of 5 production lines and 3 automatic packing lines. 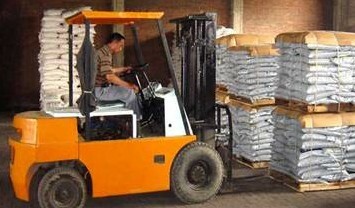 The production lines are dedicated to (1) Large-scale industrial production line of agricultural use soluble seaweed natural extract; (2) Automated production line of seaweed based organic and inorganic granular fertilizers; (3) Natural algal bioactive substances meal; (4) Various liquid fertilizers, pesticides and adjuvants. Moreover, there are 2 seaweed material processing bases for Leili on the China’s coast line. An independent R&D centre, including analysis laboratory, biochemical analysis equipments, a biology laboratory and a greenhouse for trials and testing completes the set up. The Research team is busy with biochemistry, agrochemistry, agronomy and ocean biochemistry, etc. and includes an application technology guide team split over more than 10 provinces and cities of China. A new factory with production capacity of 350,000 metric tons will build up in Shandong in the year of 2009. A new factory in Shandong, its new production capacity can reach to 350,000 metric tons and will build up in the year of 2009.